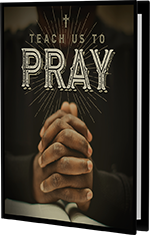 Every believer’s heart echoes the disciples’ request to Jesus—“Lord, teach us to pray.” Christ not only teaches about the contents of our prayers, but about our attitudes and motives as well. The Student Manual includes fill-in-the-blank outlines for all eight lessons from the Teacher’s Manual, as well as three devotional exercises for each lesson. 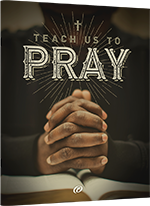 Every growing believer echoes the disciples’ request, “Lord, teach us to pray.” Christ responded with His life and teaching. He demonstrated the importance of prayer and instructed believers about proper motives and attitudes in prayer. The Teacher’s Manual includes the complete teacher’s lessons, as well as facsimiles of the Student Manual pages with answers filled in. This electronic edition is delivered as a PDF file via download on our website. You can copy, print, and store the file as needed for personal use. Using free Adobe Reader software, you can view the file on PC, Mac, iPad, and PDF-friendly devices. To keep assignments and testing material confidential for our teachers, we must personally review each digital order prior to processing. This usually takes one business day. Download instructions are sent via email once the order has been processed. Thanks for your patience. Editable Lecture Presentations - Available for free download in PowerPoint, Keynote ‘09, and PDF formats. Easily present lecture content from the Teacher Manual while helping students fill in the outlines in their Student Manual. Using the pre-formatted slide layouts and text, adapt the presentations with your own pictures and lesson content. PowerPoint files require Microsoft PowerPoint 2007 or newer. Keynote ‘09 files require Apple Keynote 2009 or newer. PDF files, which are not editable, can be displayed with the free Adobe Reader. Download requires a broadband internet connection. We’ve placed no digital rights management protections on these files, but we’d appreciate it if you restrict the use of these resources to your home, school, or organization. Please note that all files remain the property of Positive Action for Christ.